Career development is why you are an AFP member, and the focus of all the association does. 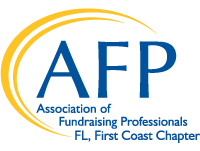 From resources to certifications, AFP strives to bring you the best and latest information to make you the best fundraising professional possible! The AFP Job Seekers toolkit focuses on finding the right job and features advice and services to help you carry out a successful job search and land on your feet in a rewarding new position. It is regularly updated with new and targeted materials. This web page offers a broad overview of fundraising and puts the essential tools for getting started right at your fingertips. Whether you are new to the profession or just want to brush up on the basics, use this resource to get full benefit from AFP and start on the right foot in your new career! A tumultuous economy can present unique challenges for nonprofit fundraising. Looking for ways to cope? AFP has compiled a toolkit of resources to advise and guide member fundraisers in tough economic times.